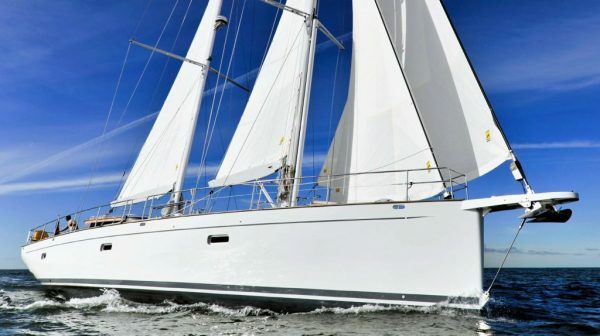 Wind of Change designed by Ron Holland, was built in 1994 and was refitted in 2018! 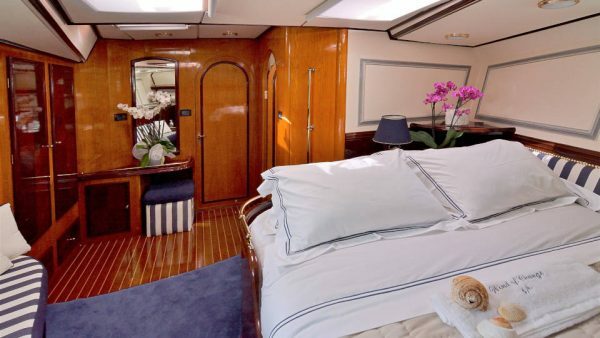 Her three luxurious cabins accommodate up to six guests. 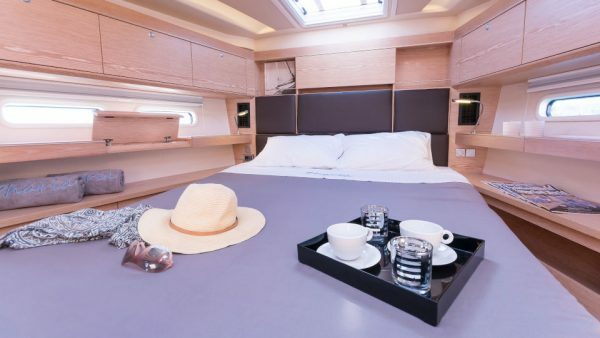 She presents spacious Master cabin with Queen bed, wardrobe, dressing table & sofa. 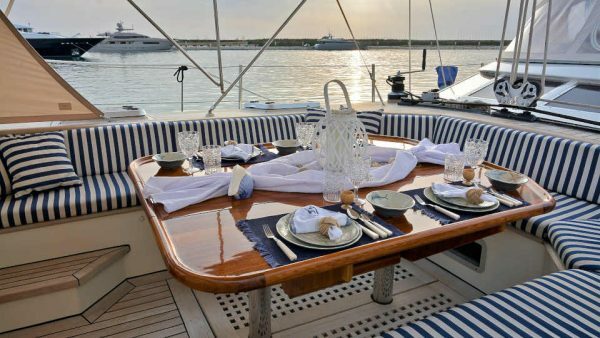 All the fabrics in saloon, dining area & at the al fresco dining area are Ralph Lauren. 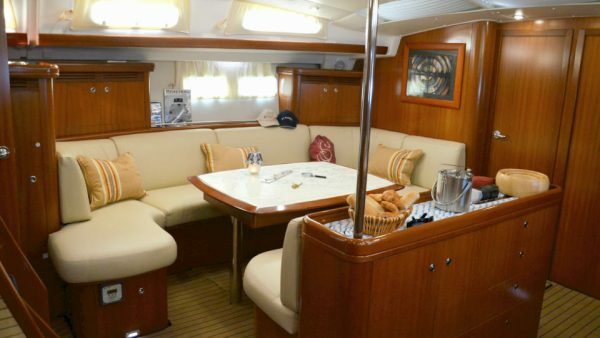 Her professional crew of four will take great care of the guests. 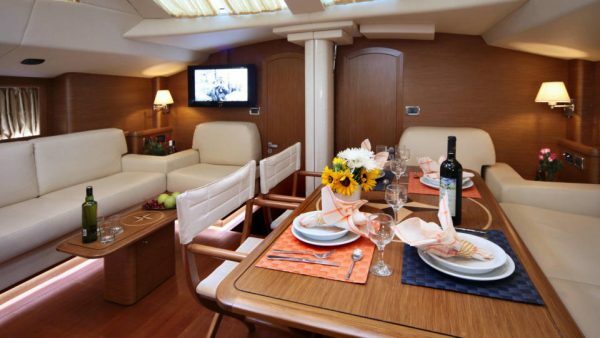 This superb yacht only exists to provide luxury services, according to worldwide standards! 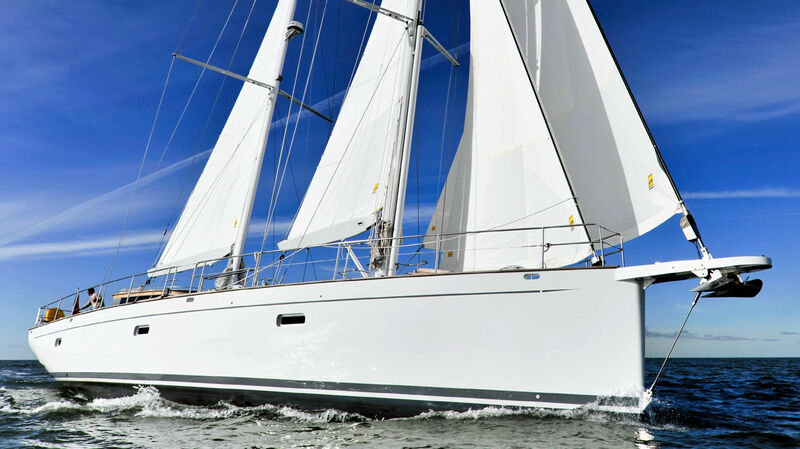 Shooting Star offers sailing enjoyment and hospitality services of the highest level. 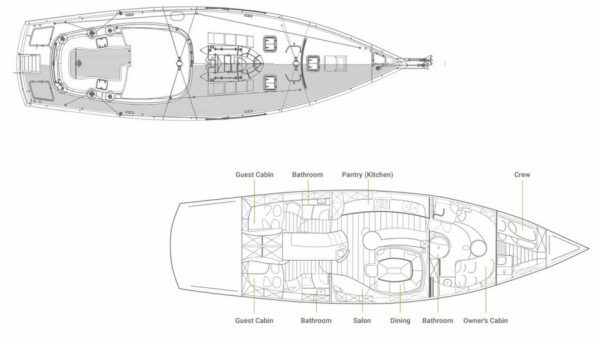 She presents a generous layout of five ensuite cabins, of which the two forward double cabins can be converted to one full beam master cabin! 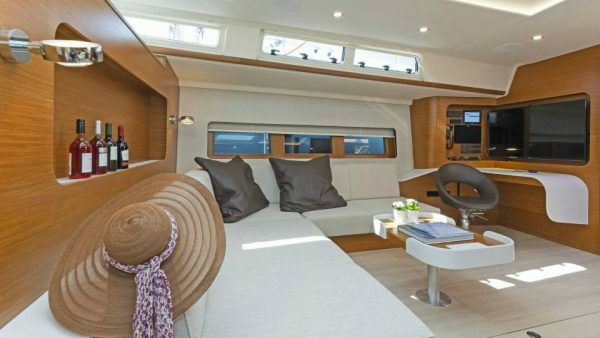 Her contemporary interior is flooded by ample natural light and her exterior decks are very spacious presenting many areas ideal for relaxation. 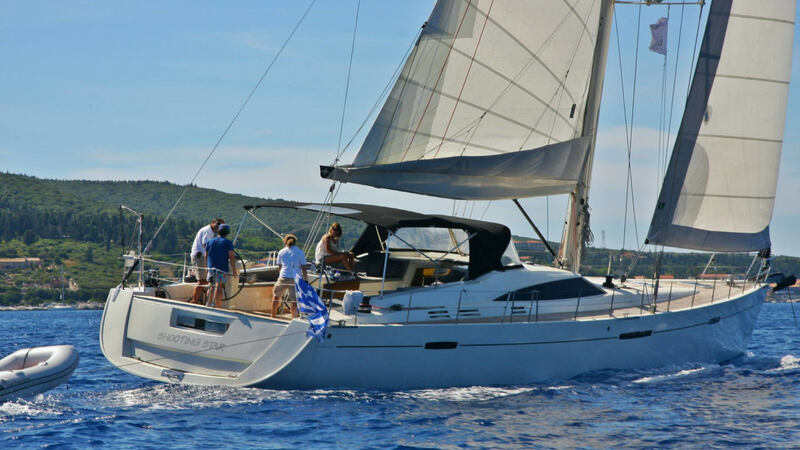 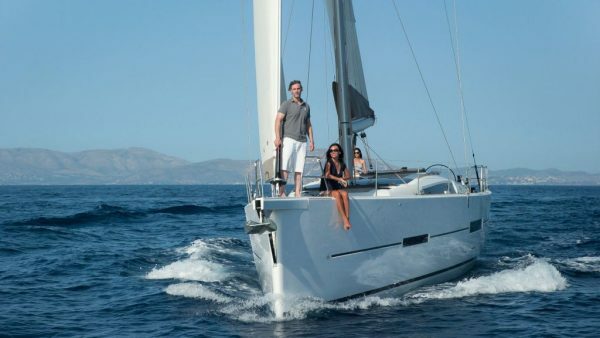 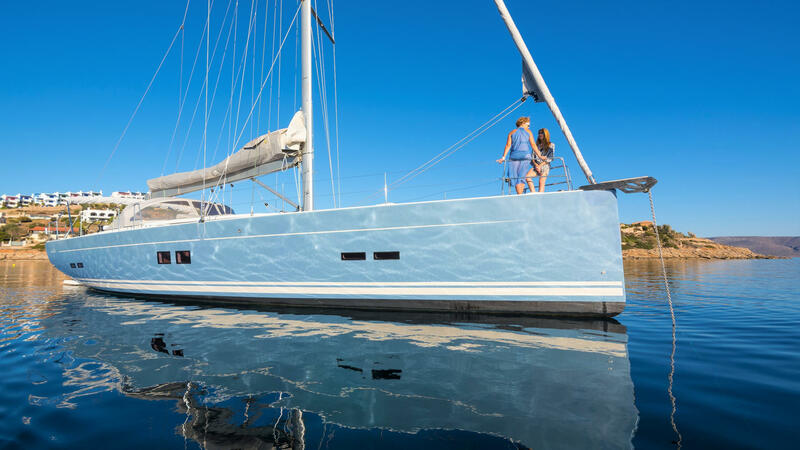 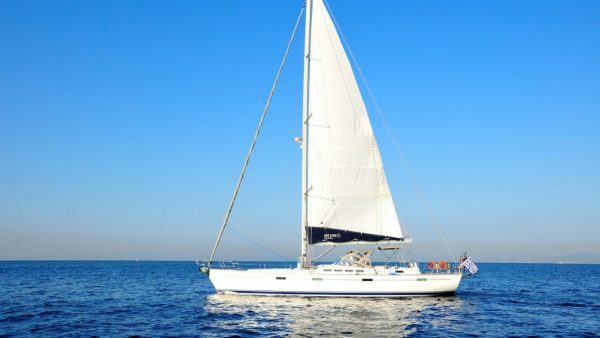 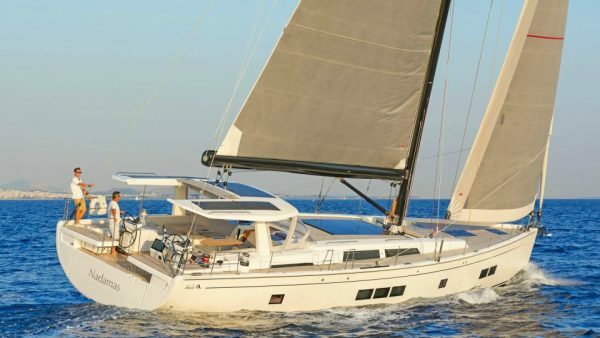 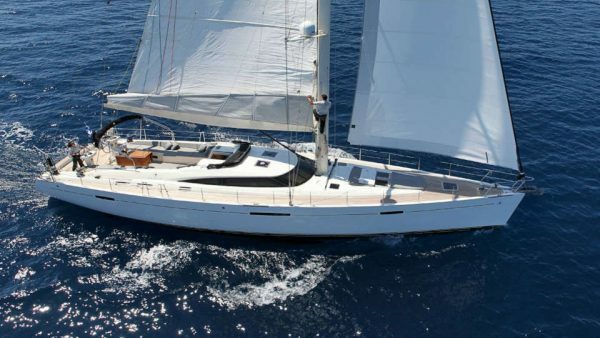 Sea Star Beneteau 57 is a modern sailing yacht available for crewed charters in Greece. 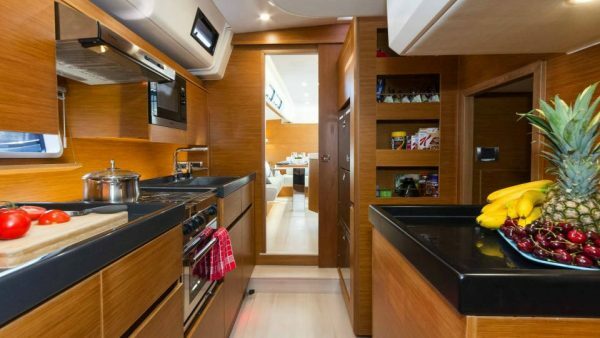 She combines comfort, style and surprising performance. 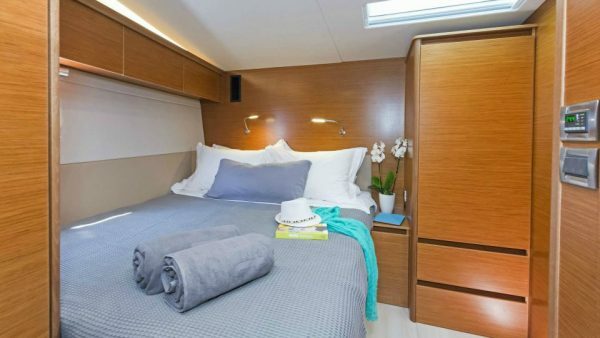 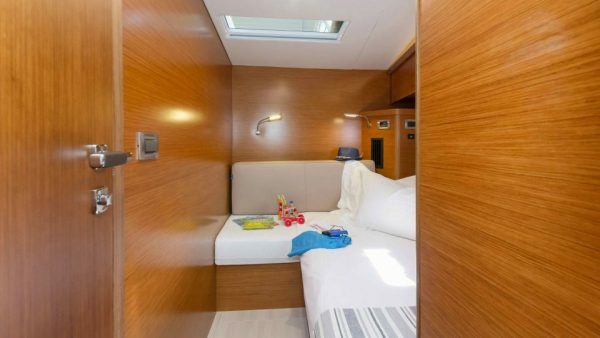 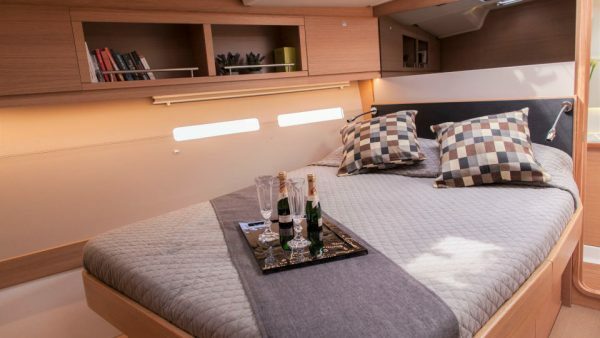 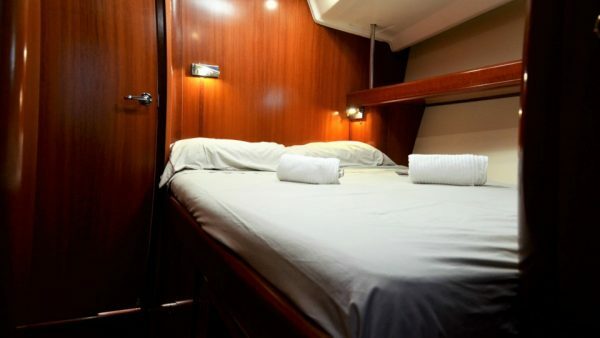 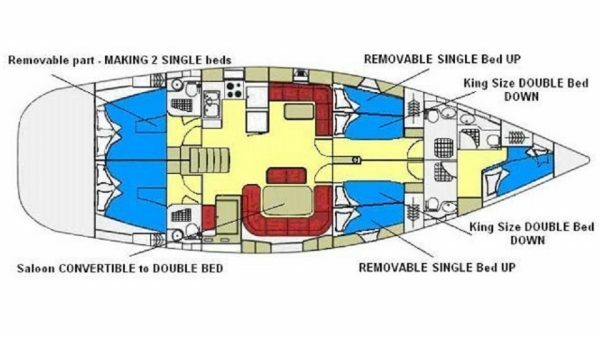 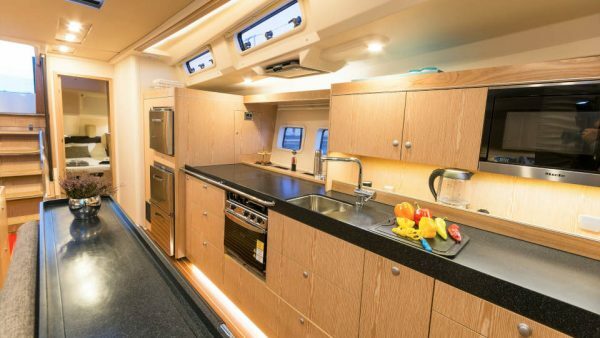 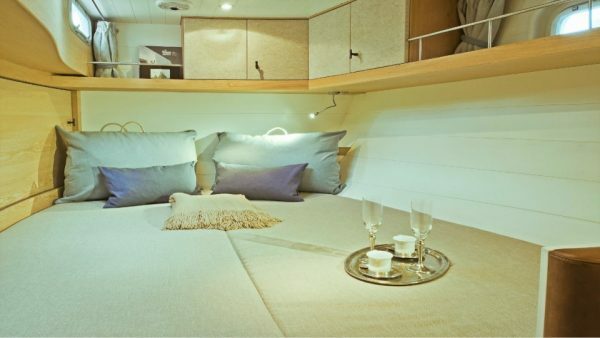 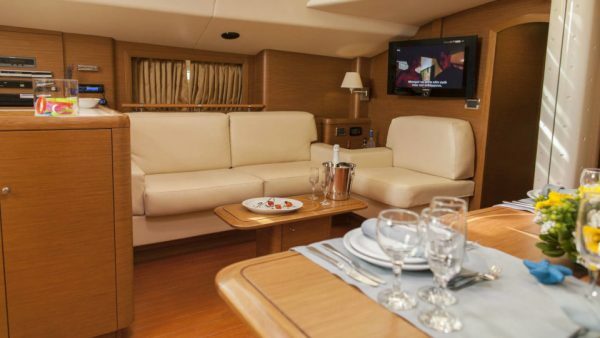 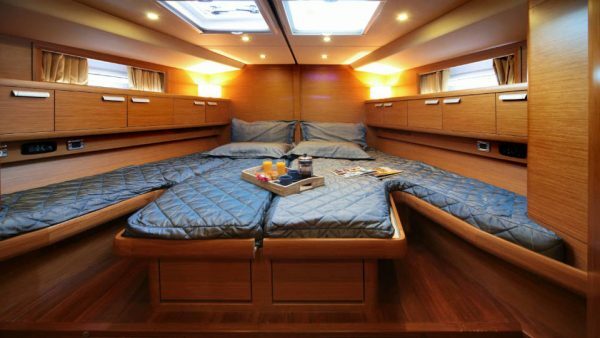 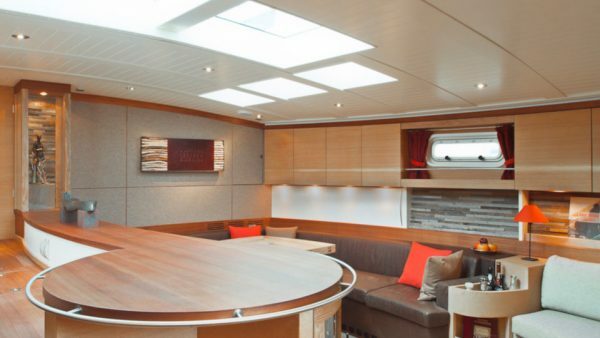 Her nice layout allows luxurious accommodation for up to eight guests in four ensuite and fully air-conditioned cabins. 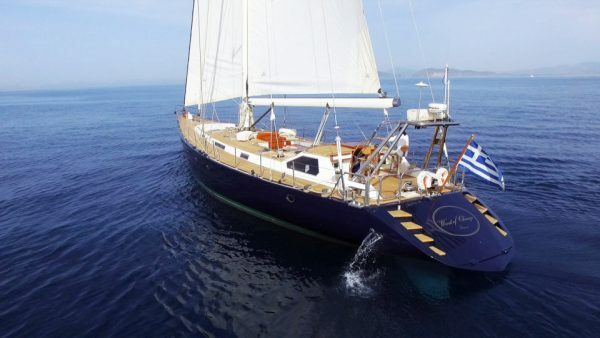 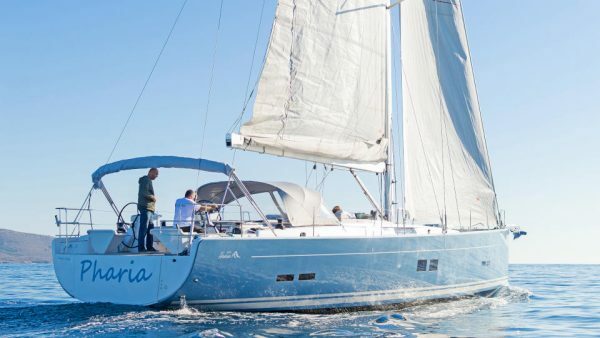 Pharia is undoubtedly one of the finest Hanse sailing yachts in Greece. 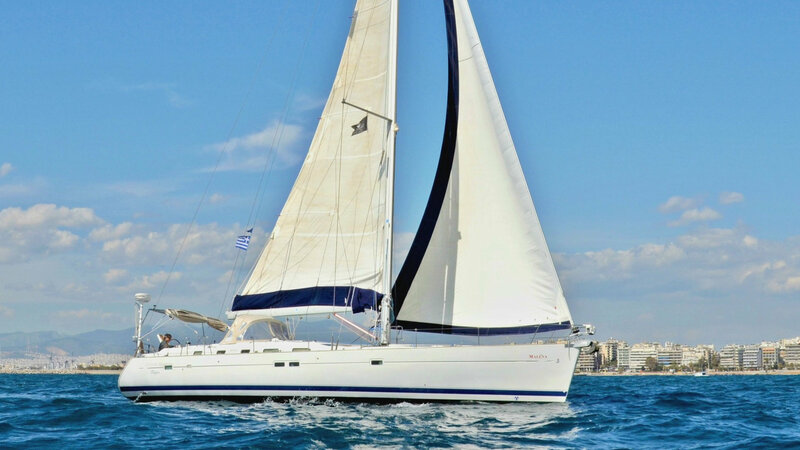 Based in Athens, she is perfect for families and friends up to six persons. 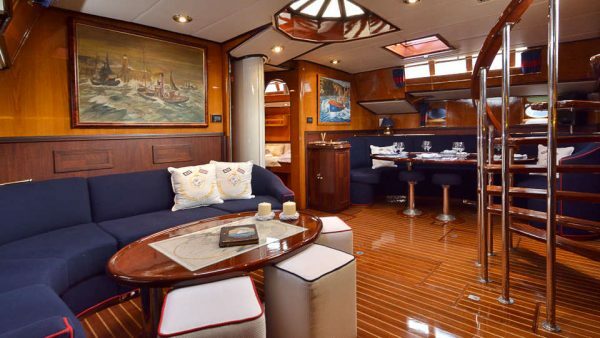 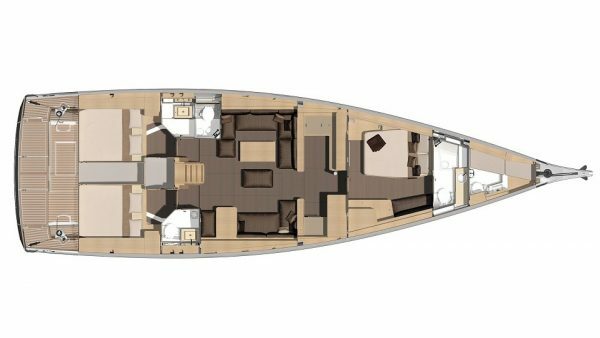 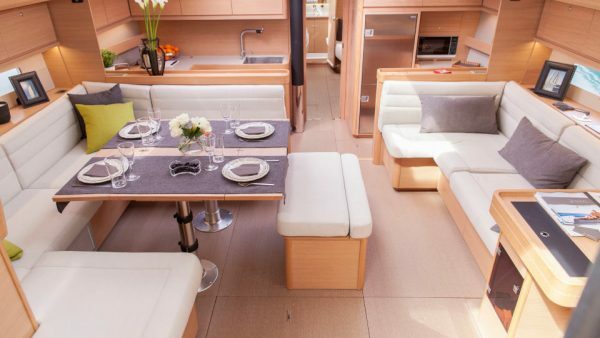 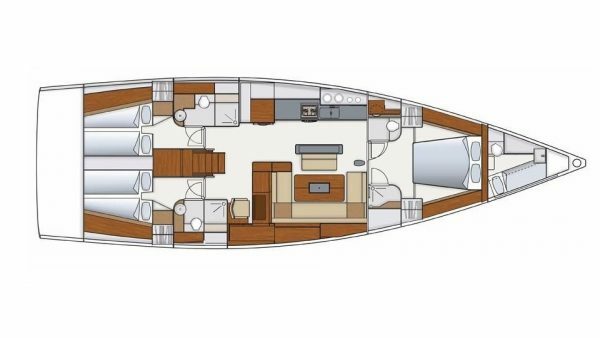 Her beautiful main saloon and dining area present gray tones in fabrics and light colored wood on the furnishes and her three comfortable ensuite cabins, one Master and two double, are very well appointed. 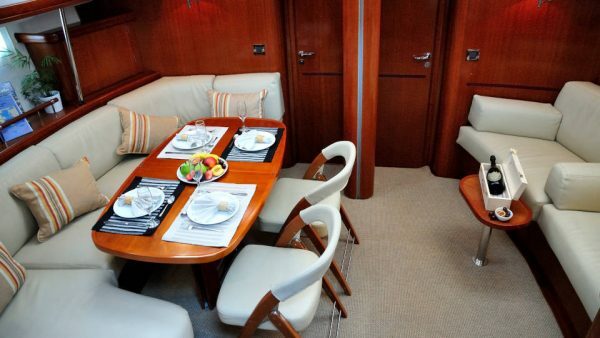 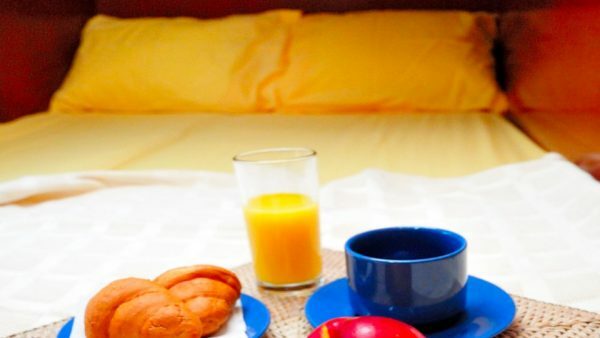 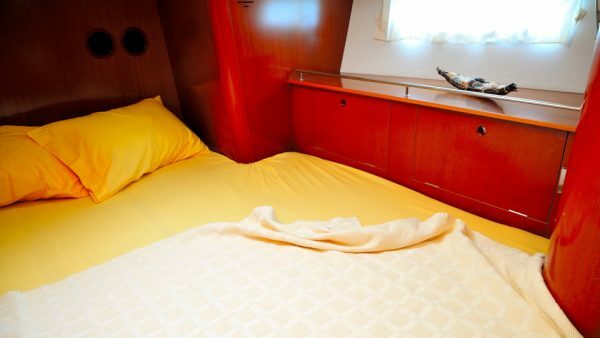 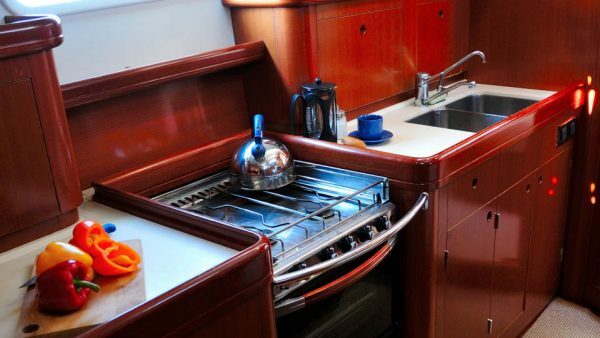 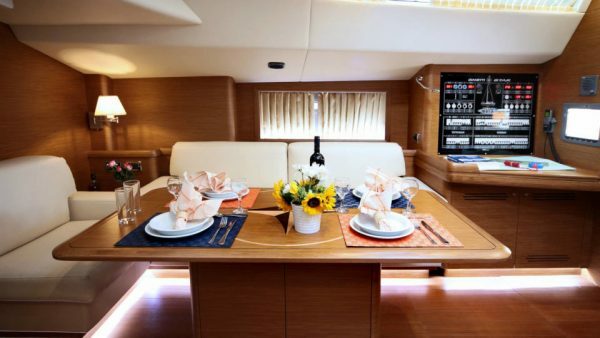 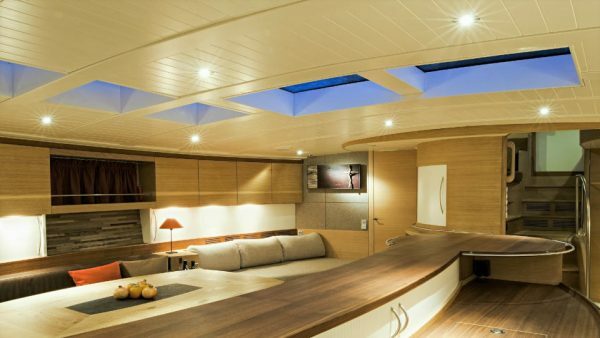 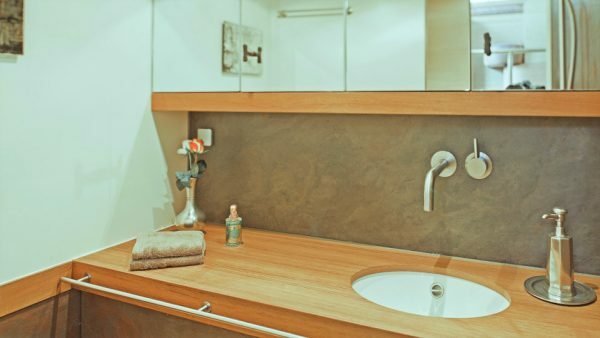 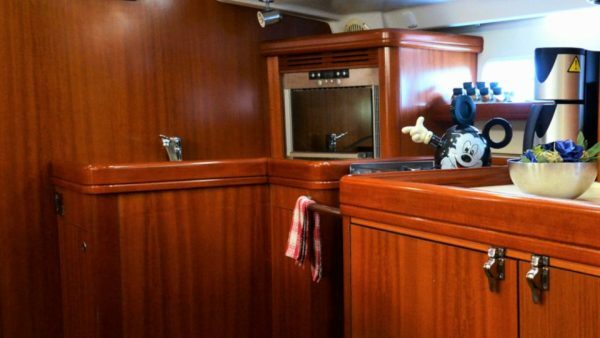 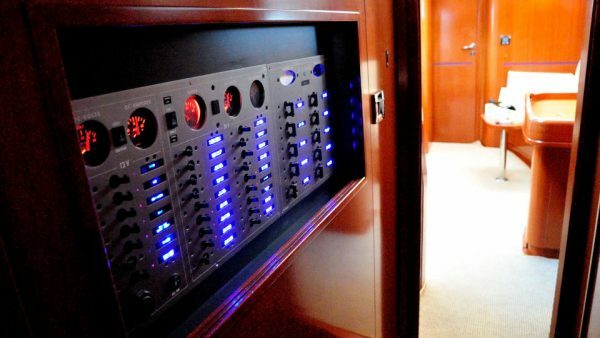 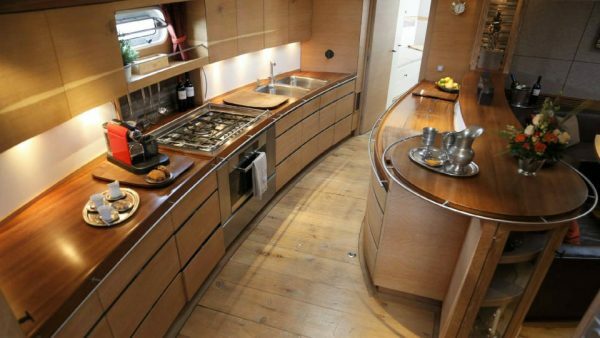 Her galley is fully equipped with all the necessary facilities such as microwave and a Nespresso coffee machine. 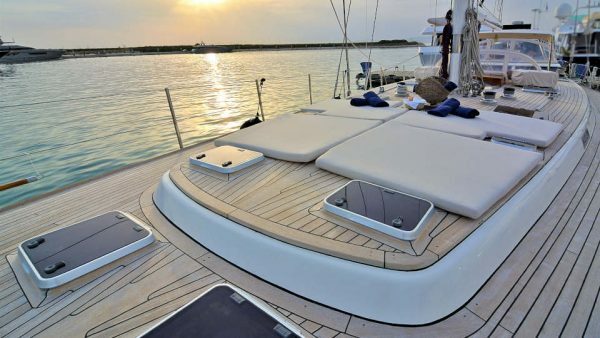 On the exterior the highlight of Pharia is the large swim platform. 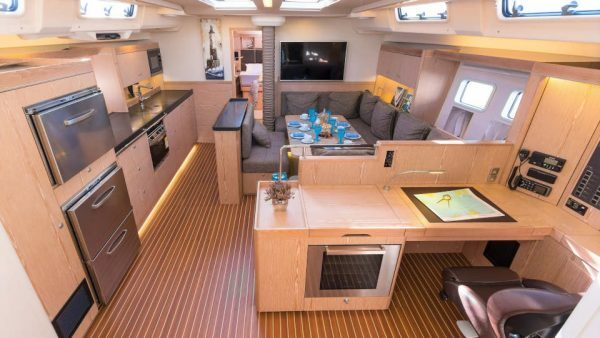 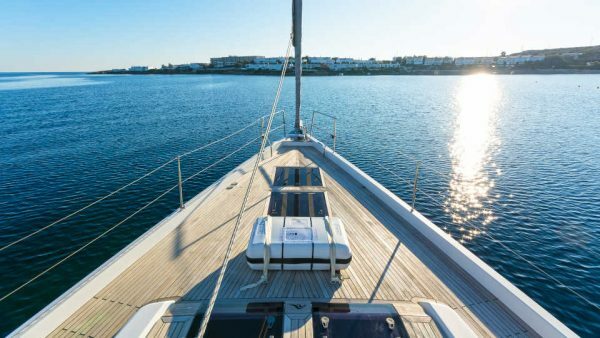 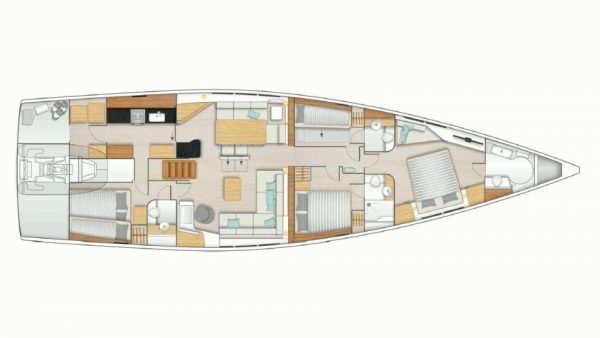 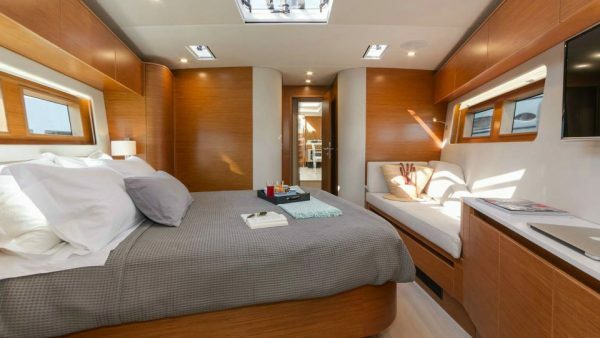 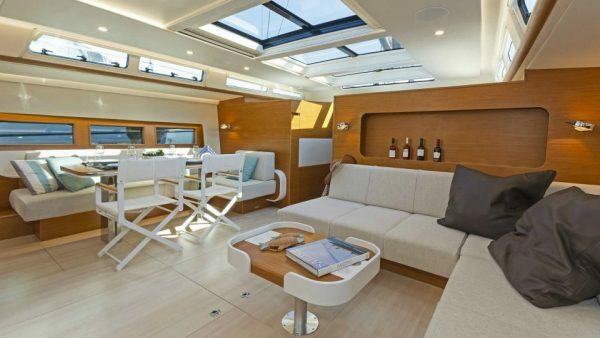 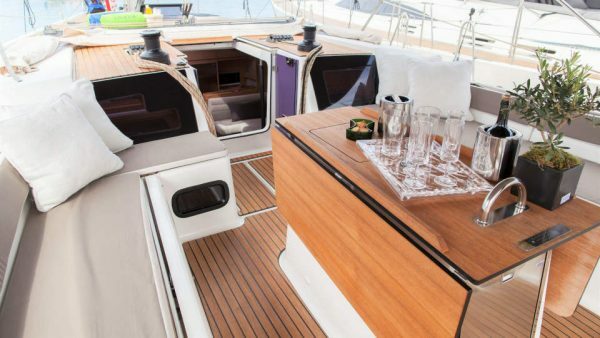 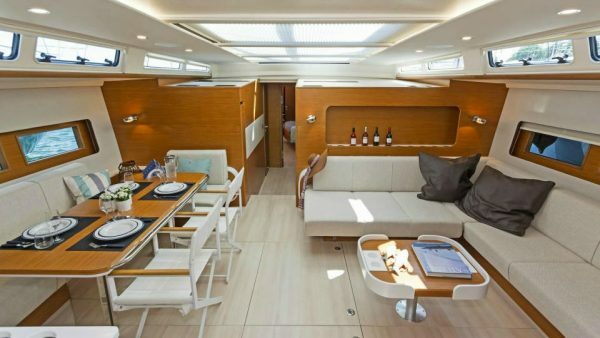 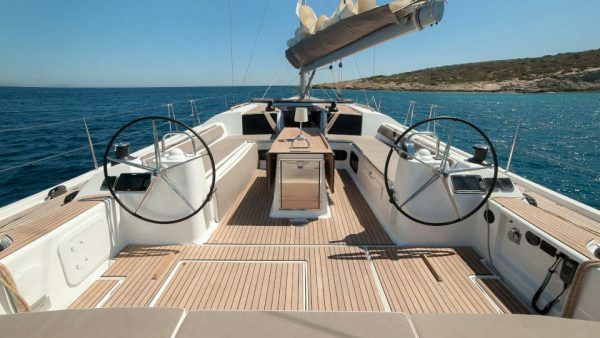 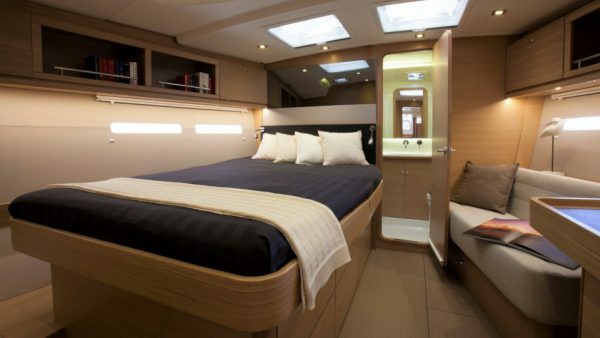 Nadamas is a brand new marvelous Hanse 675 sailing yacht. 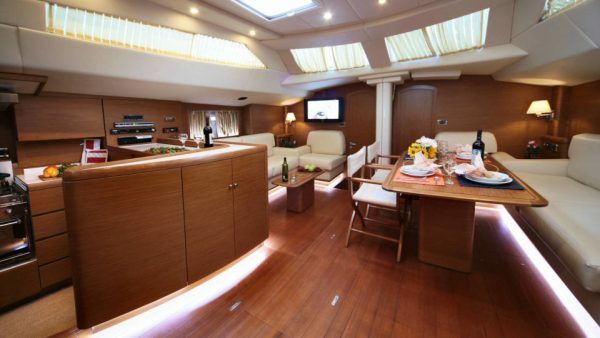 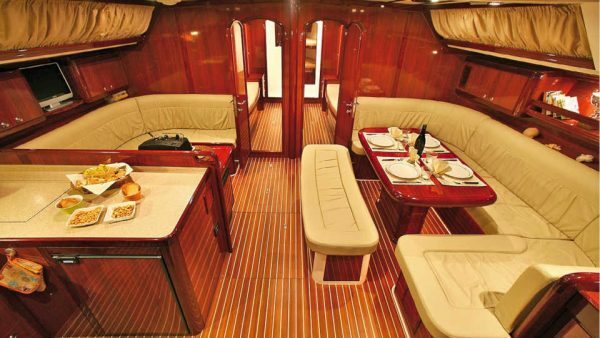 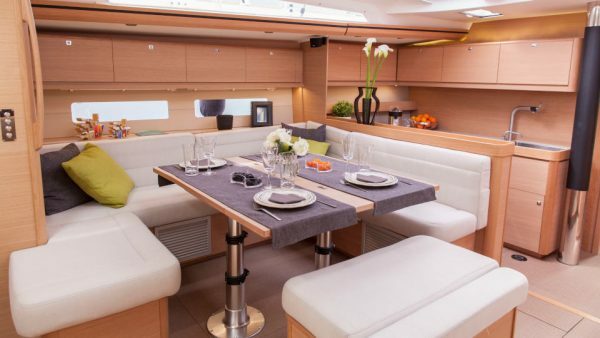 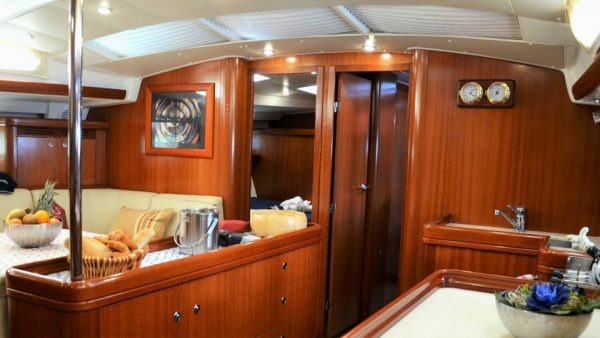 She boasts a beautiful main saloon and three stylish cabins which accommodate up to six guests. 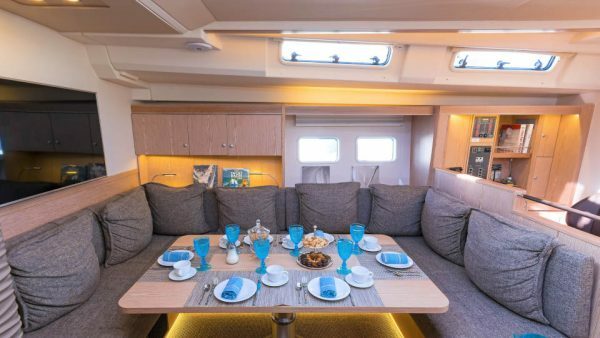 Her exteriors are impressing, with a spacious sunbathing area and an al fresco dining area where you can enjoy delicious meals. 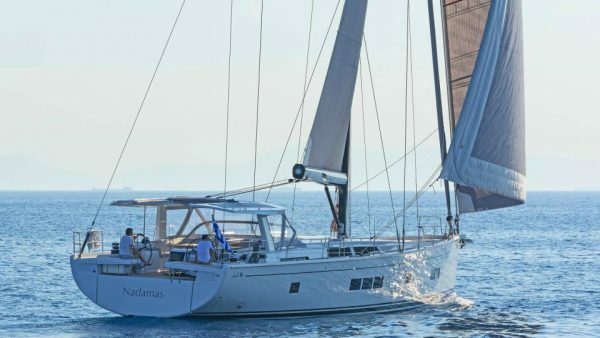 Based in Athens, Nadamas is the ideal sailing yacht for exploring the Greek islands and the azure waters of East Mediterranean. 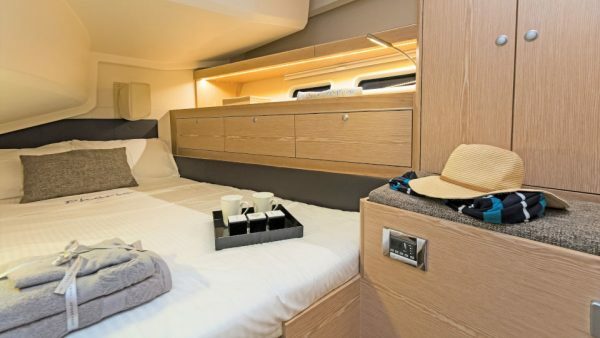 Mythos is a stylish Ocean Star 56.1 sailing yacht offering stylish accommodation for up to eight guests in four double ensuite cabins. 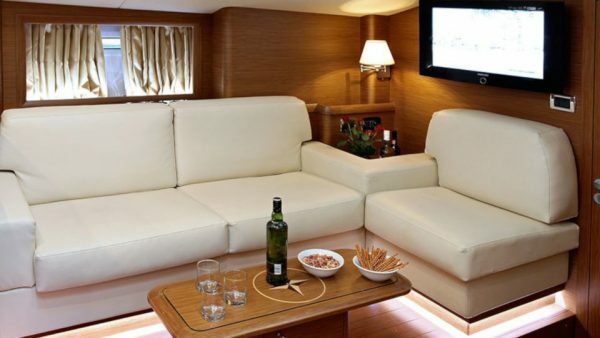 Guests have many options for relaxing either at the cozy saloon with the wooden details and cream leather sofa or at the large sunbeds on the sundeck. 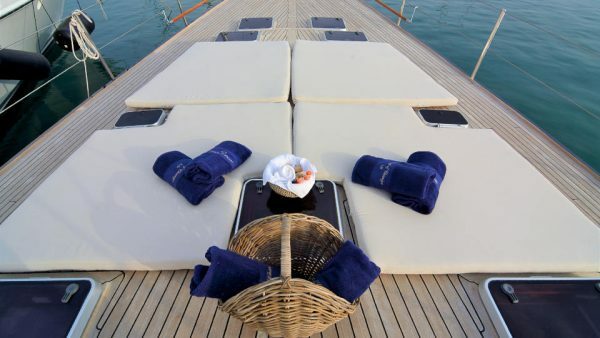 Mythos is lavishly equipped with excellent features on all decks, providing a unique charter experience. 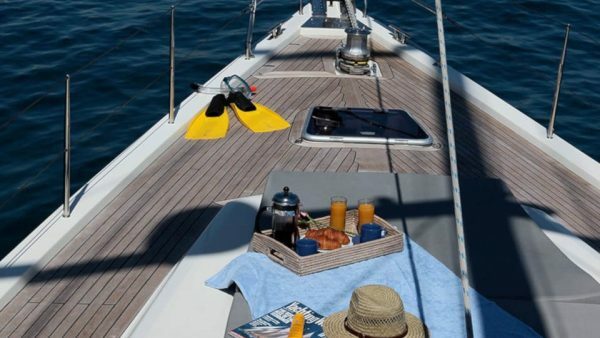 Mimosa, a Dufour Grand Large 560 built in 2014, stands out for her sleek design, style and performance. 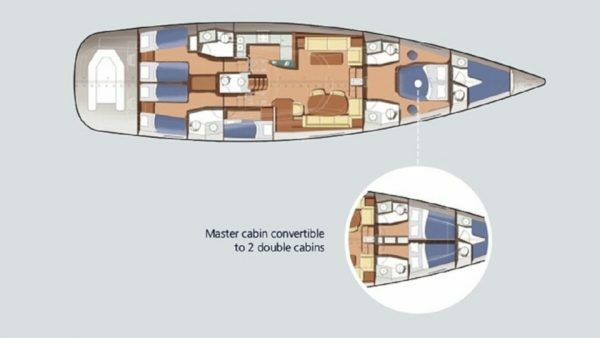 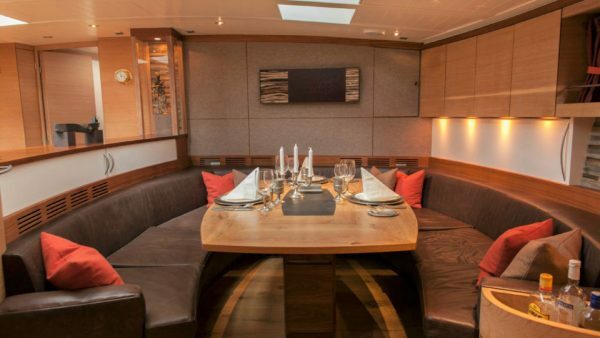 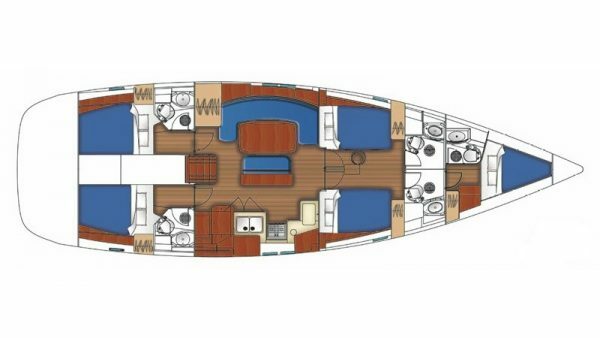 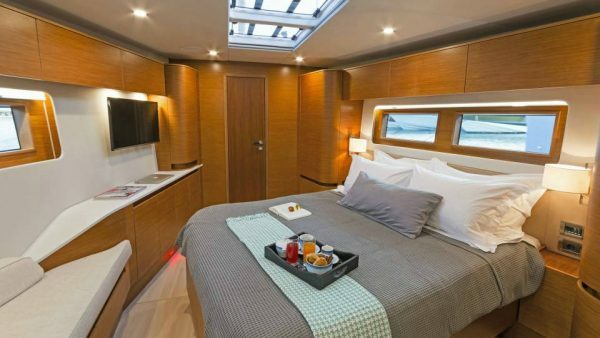 She can accommodate up to six guests in three modern cabins, a spacious Master and two double cabins. 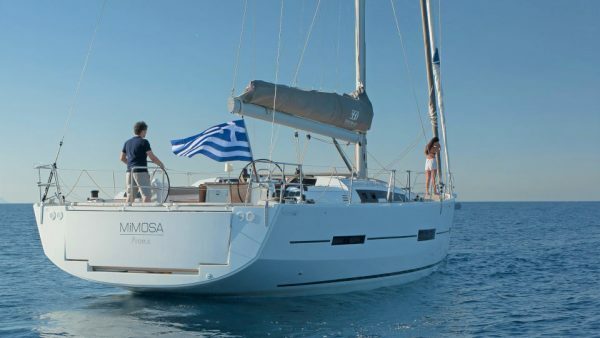 Mimosa was designed to offer luxurious sailing thanks to her elegant beauty, spacious decks and exceptional crew. 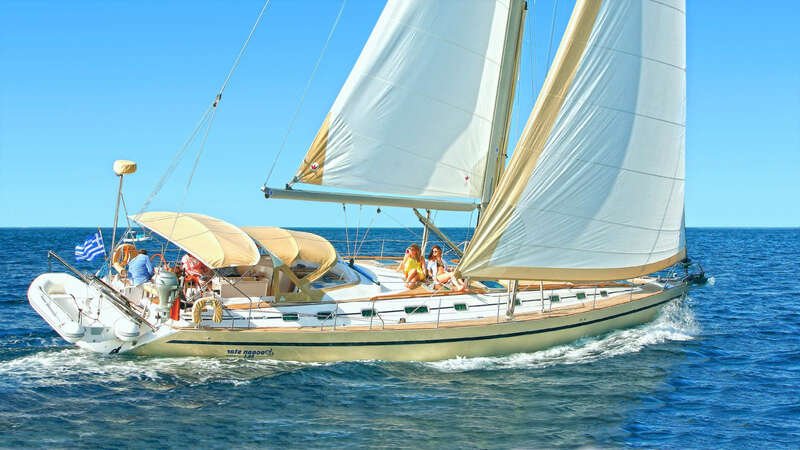 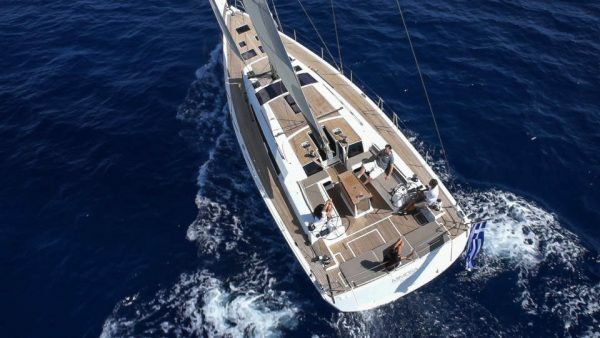 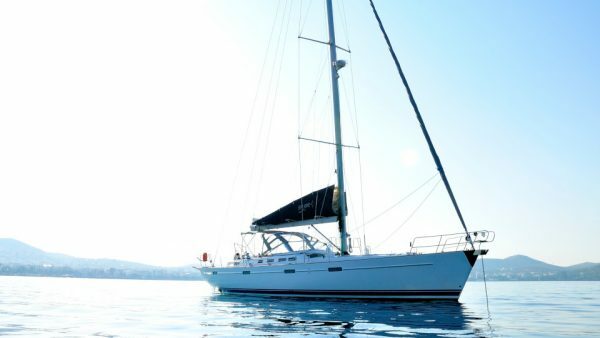 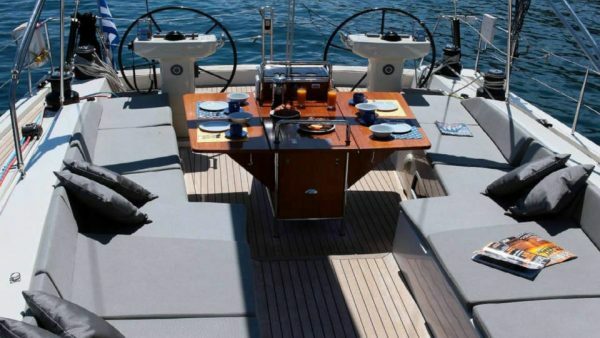 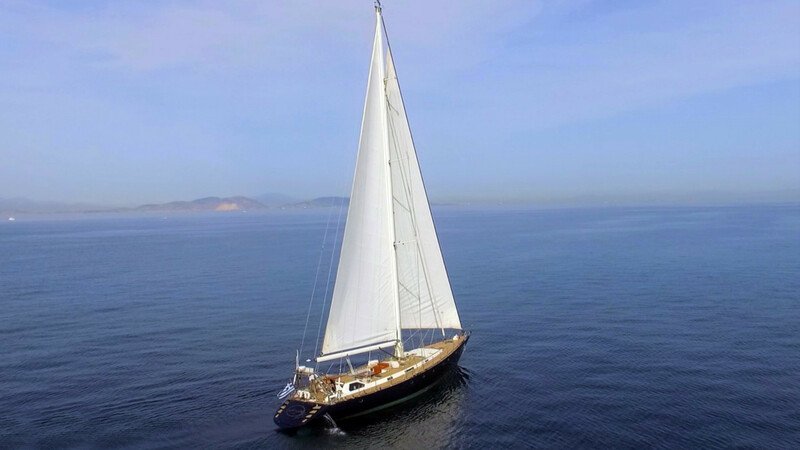 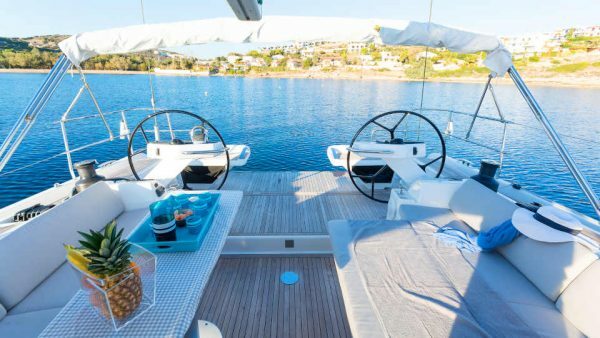 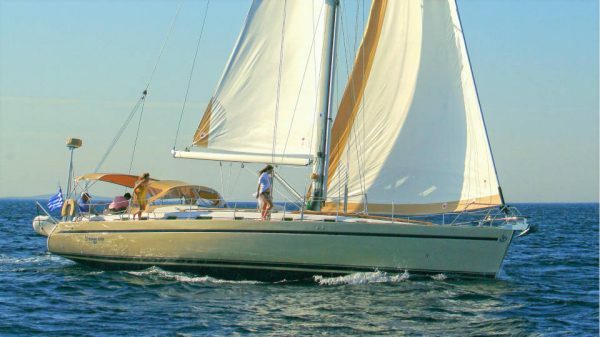 Malena is a beautiful Beneteau 523 sailing yacht available for crewed charters in the Greek islands. 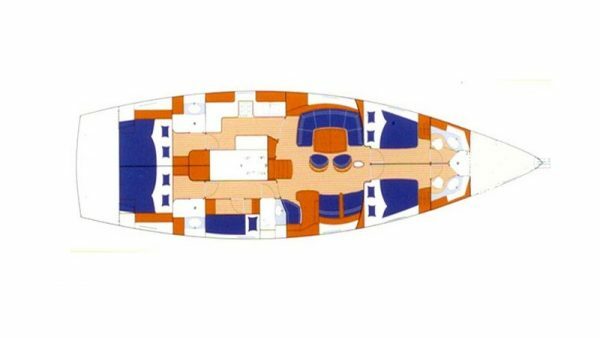 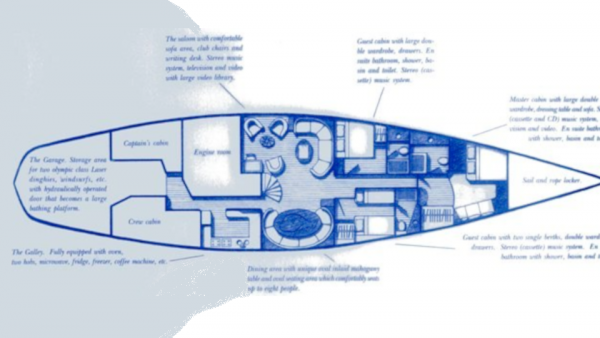 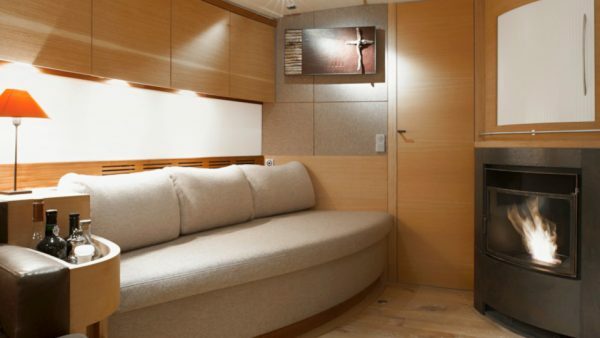 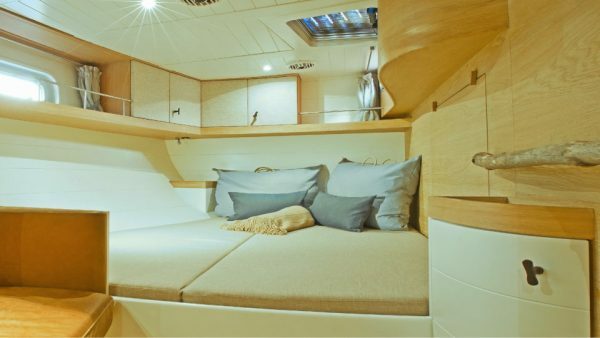 She presents a nice layout of four cabins that can accommodate up to eight guests at the utmost comfort. 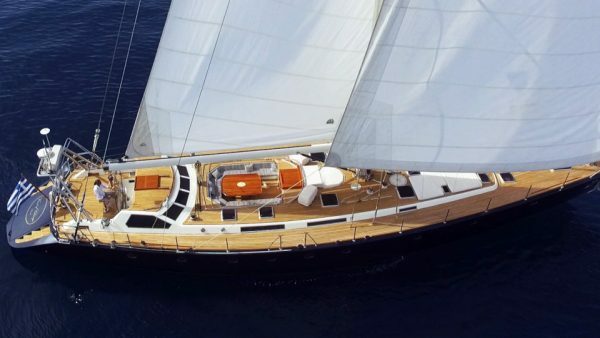 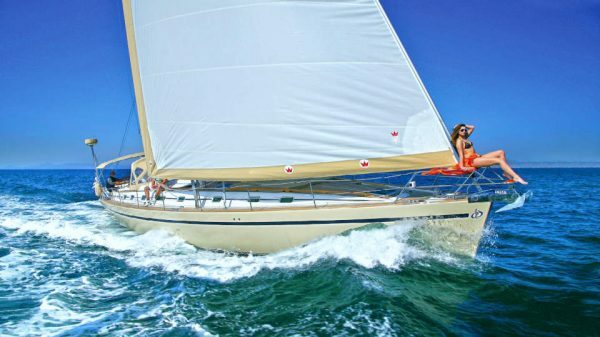 Helen, built in 2011, is a unique Opus 68 aluminum sailing yacht. 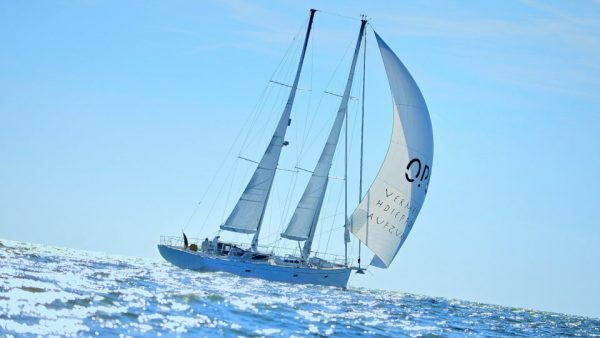 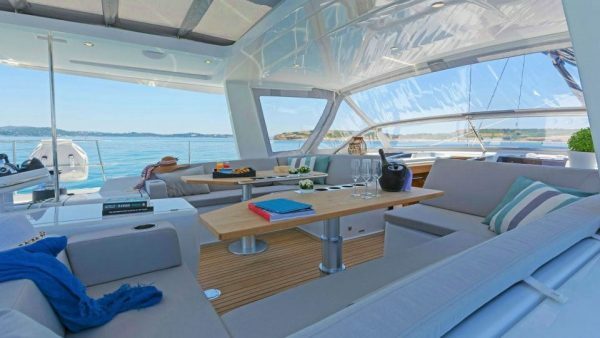 She has been designed by successful naval architects of Dixon Yacht Design and has a custom interior designed by the leading German designer Alv Kintscher. 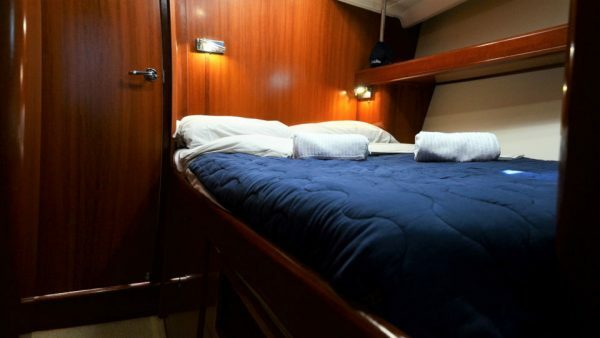 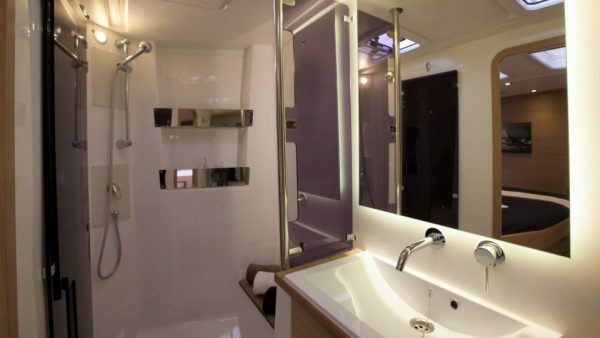 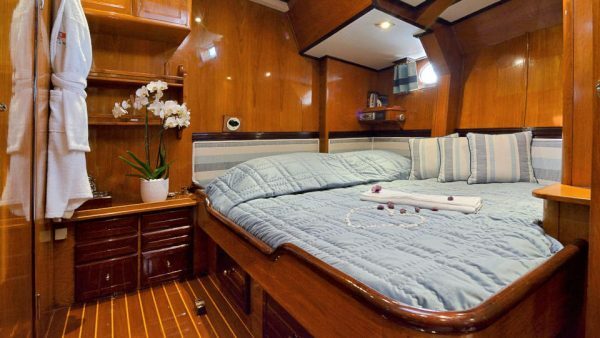 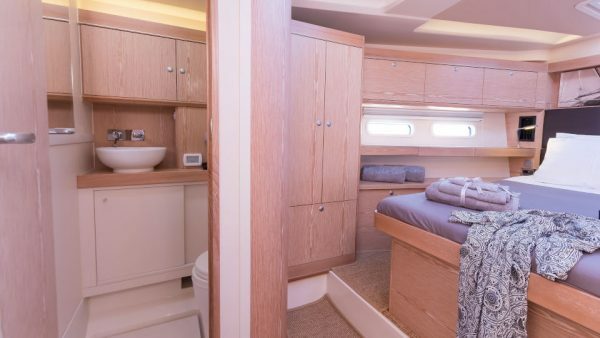 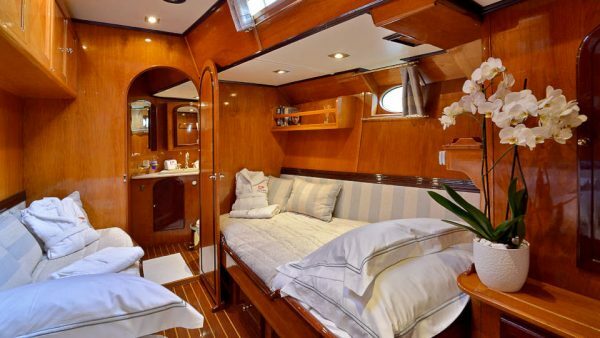 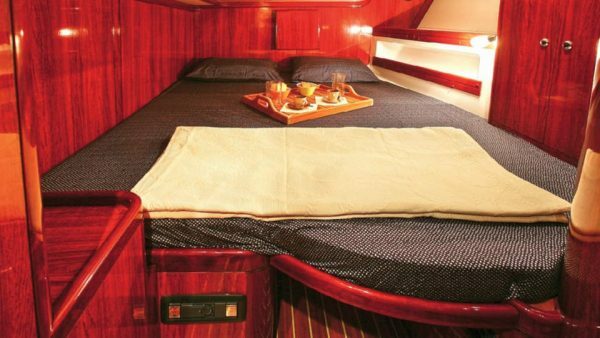 She accommodates up to seven guests in three ensuite cabins. 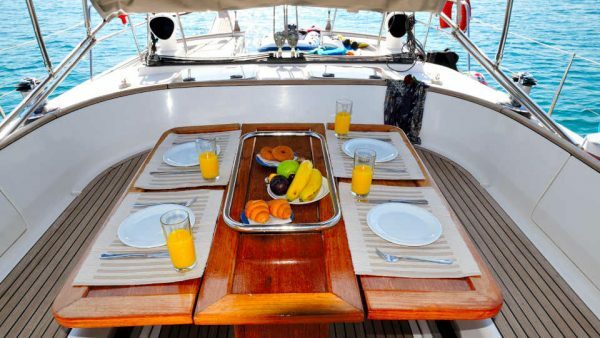 Her experienced crew of two will ensure the guests are well looked after. 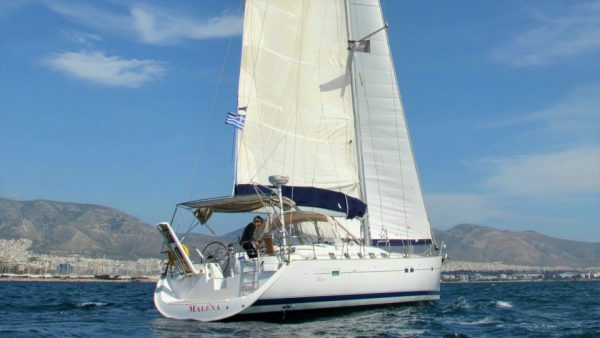 Based in Lefkas, Helen offers the chance to visit the Ionian Islands in ultimate style and comfort!